Want to view PST or OST files without Outlook? 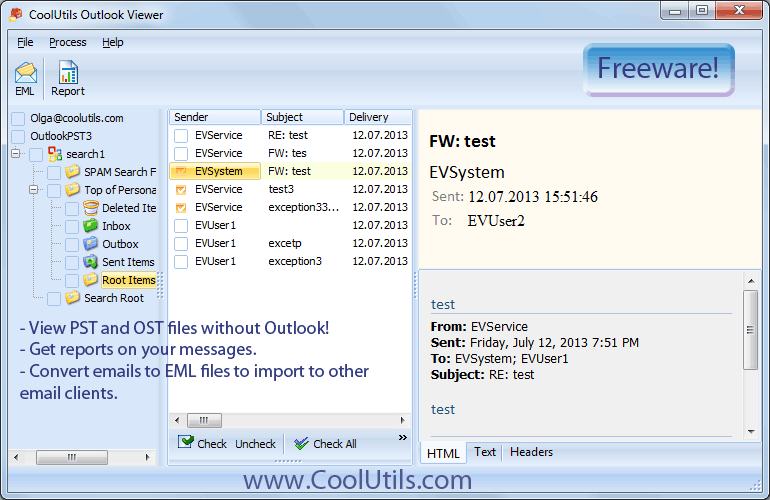 Get the free Coolutils Outlook Viewer! It`s fast, straightforward and absolutely free. Browse for your PST or OST file and get the list of emails, each of them can be previewed in just 1 click. The list is sortable, so you can sort your emails by date, sender, etc. Moreover, it can also convert your emails to EML to import them to any EML based email client.